2439.09 Кб The GY-HMQ10 is a newly-developed next-generation handheld 4K camcorder, featuring extremely high definition 4K2K progressive video recording on widely available SDHC Class 6 or Class 10 memory cards, presently available in capacities up to 32GB - or SDXC memory cards for capacities of 64GB-128GB - via four memory card slots. 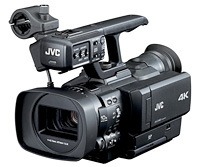 At the heart of the camcorder is the world's first large-scale integration (LSI) chip, also developed by JVC, which enables high-speed signal processing, encoding and recording of the 4K2K images for both video and stills. The GY-HMQ10 uses 144 Mbps MPEG-4 AVC/H.264 for recording 4K2K video with up to12 mio. pixels (3840x2160p), with smooth processing of progressive format and solid panning. 2354.72 Кб NEW! 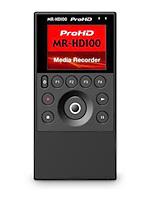 The next-generation handheld ProHD camera that delivers exceptional imagery and features for news, sports, and independent production. Light, versatile and extremely easy to use, this camera is designed for fast paced ENG - offering superb low light performance, a long (23x) wide angle zoom lens, and expanded file interoperability from acquisition to air. 2639.72 Кб NEW! Small and light enough to be used anywhere, this advanced camera surpasses the performance of many traditional ENG style units and offers capabilities never before available on any model. Dual codecs make it possible to record for 2 screens simultaneously: full HD on one memory card and a smaller web-friendly file on another card. 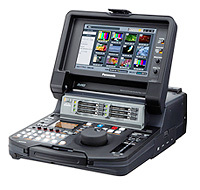 Transfer the footage back to the station with the GY-HM650's built-in FTP and WiFi connectivity. The GY-HM650's long (23x) wide angle lens is perfect for fast paced ENG. The camera offers superb low light performance with F11 sensitivity at @2000 lux. 168.00 Кб HD Camcorder Memory Card Request your price! 1990.49 Кб HD Camcorder Memory Card Head Request your price! 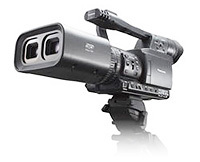 1344.93 Кб (A) HD Camcorder Head DV out Request your price! 1344.93 Кб (A) HD Camcorder DV out, 14x lens Request your price! 2227.16 Кб P2 HD 1/3 Camcorder Request your price! 4655.32 Кб P2 HD 1/3 Camcorder Request your price! 4119.29 Кб P2 HD 1/3 Camcorder (incl. colour viewfinder) Request your price! 171.12 Кб P2 HD 2/3 Camcorder 16:9 / 4:3 (supplied w/ VF) Request your price! 1067.53 Кб HD/SD P2 Camcorder 2/3" IT 16:9 / 4:3 Request your price! 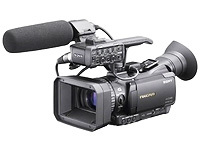 4680.07 Кб HD P2 Camcorder 2/3" IT 16:9 / 4:3 Request your price! 2216.23 Кб HD P2 1080i Camcorder 2/3" IT 16:9 / 4:4 Request your price! 4580.93 Кб Shoulder Camcorder AVCHD Request your price! 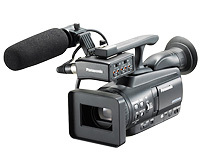 1859.16 Кб 1/3" Palmheld Camcorder AVCHD Request your price! 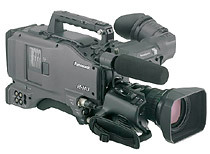 7875.75 Кб 1/4" Palmheld Camcorder AVCHD Request your price! 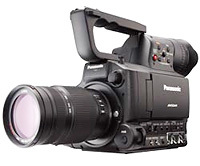 1576.94 Кб 1/3" Palmheld Camcorder AVCHD Request your price! 2827.60 Кб 4/3" Type Sensor Camcorder Request your price! 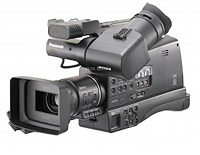 2665.44 Кб POVCAM camera - excludes cable Request your price! 2941.71 Кб The AG-3DA1 is the world's first professional, fully-integrated Full HD 3D camcorder that records to SD card media. The AG-3DA1 will democratize 3D production by giving professional videographers a more affordable, flexible, reliable and easier-to-use tool for capturing immersive content as well as providing a training tool for educators. 795.21 Кб CINECAM26KEF Blackmagic Cinema Camera EF - One of the world’s finest digital film cameras with a beautiful design that features a machined aluminum chassis, interchangeable optics, high resolution 2.5K sensor, 13 stops of dynamic range and 12-bit RAW uncompressed and compressed ProRes and DNxHD file formats! Includes sun shield, power supply, carry strap, UltraScope waveform monitoring software and a full version of DaVinci Resolve Software for Mac OS X and Windows. (Lenses are not included and must be purchased separately) Request your price! 795.21 Кб MFT CINECAM26KMFT Blackmagic Cinema Camera MFT Request your price! 795.21 Кб PL CINECAM26KPL Blackmagic Cinema Camera PL Request your price! 217.75 Кб CINECAMPROD4KEF Blackmagic Production Camera 4K - world’s most portable 4K digital film camera! Shoot Ultra HD TV or 4K feature films with the new Blackmagic Production Camera 4K. You get a large Super 35 size sensor with professional global shutter combined with precision EF mount optics, high quality visually lossless compressed CinemaDNG RAW and Apple ProRes 422 (HQ)™ file recording for a complete self contained solution. The built in touchscreen lets you monitor, change settings and enter metadata directly on the camera! 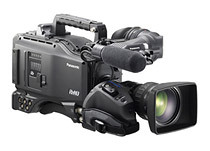 217.75 Кб PL CINECAMPROD4KPL Blackmagic Production Camera 4K PL Request your price! 1038.59 Кб CINSTUDMFT / HD The Blackmagic Studio camera features a compact and durable magnesium alloy body that is packed with innovative technology, making it the most rugged, portable and advanced studio camera in the world. You get a huge 10” viewfinder with sunshade for optimal viewing and control, a flexible MFT mount that gives you more lens options than any other studio camera, multiple mounting points and professional broadcast connections. 1038.59 Кб 4K CINSTUDMFT / UHD The Blackmagic Studio camera features a compact and durable magnesium alloy body that is packed with innovative technology, making it the most rugged, portable and advanced studio camera in the world. You get a huge 10” viewfinder with sunshade for optimal viewing and control, a flexible MFT mount that gives you more lens options than any other studio camera, multiple mounting points and professional broadcast connections. 1038.59 Кб CINSTUDMFT/HD NEW! The Blackmagic Studio camera features a compact and durable magnesium alloy body that is packed with innovative technology, making it the most rugged, portable and advanced studio camera in the world. You get a huge 10” viewfinder with sunshade for optimal viewing and control, a flexible MFT mount that gives you more lens options than any other studio camera, multiple mounting points and professional broadcast connections. 1038.59 Кб 4K CINSTUDMFT/UHD NEW! The Blackmagic Studio camera features a compact and durable magnesium alloy body that is packed with innovative technology, making it the most rugged, portable and advanced studio camera in the world. You get a huge 10” viewfinder with sunshade for optimal viewing and control, a flexible MFT mount that gives you more lens options than any other studio camera, multiple mounting points and professional broadcast connections. 1390.81 Кб (B) LCD 42" Monitor Request your price! 1390.81 Кб (B) LCD 47" Monitor Request your price! 1390.81 Кб LCD 52" Monitor Request your price! 7555.62 Кб DVBAnalyzer enables powerful monitoring and analyzing of all aspects of DVB/ATSC/ISDB Transport Streams. This can be done from high level summary overviews, down to bit interpretation compliance. 7555.62 Кб Solution for real-time mosaic overview for multiple services coming from multiple Transport Streams. 7555.62 Кб DVBLoudness is part of the DVBControl software toolset which enables powerful Loudness measurements for multiple Audio services coming from multiple Transport Streams. Loudness is measured according to the ITU-R BS.1770 standard and EBU R.128 recommendations.